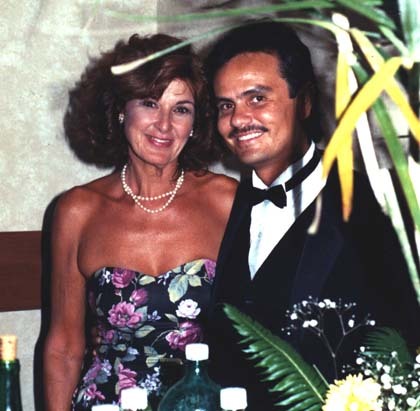 1989 Ann-Sofi and Danny at Francisco's 75th birthday party. 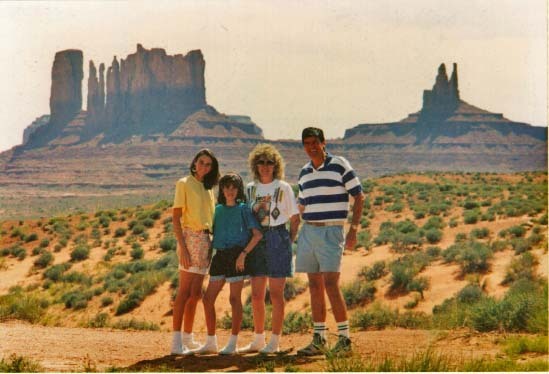 1990 Monument Valley. 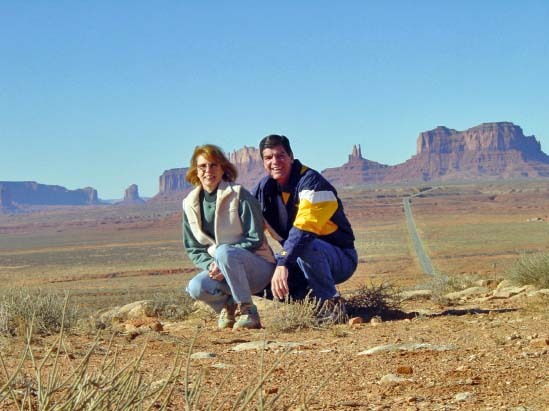 Mauricio and Valerie show us that there is lots of beautiful scenery in the good ol' US of A. 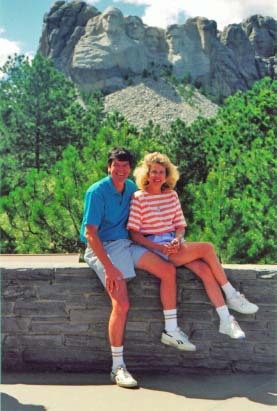 1990 Mount Rushmore. I don't think they have missed too many sights in this part of the country. 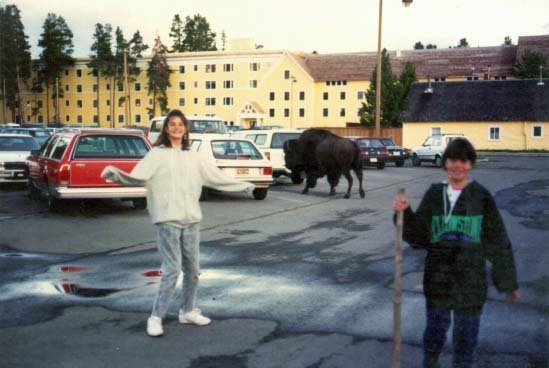 1990 Monica, Erica and the moose, who couldn't find a parking spot in the lot of the Yellowstone National Park Hotel. 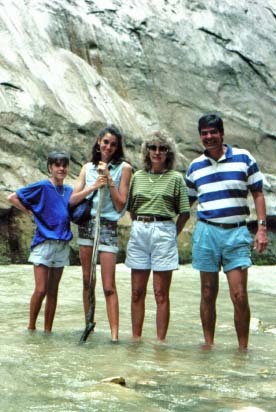 1991 The hikers trekking through the waters of Virginia's River Zion. 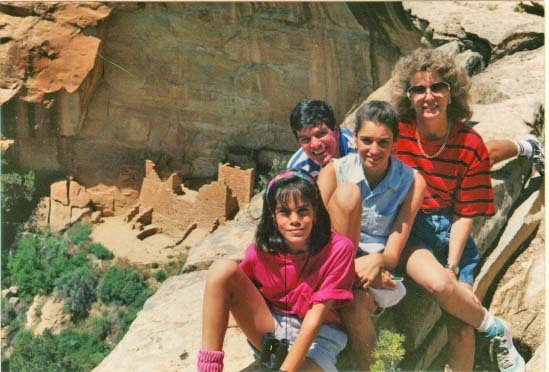 1991 Mesa Verde National Park. Are we having fun yet? 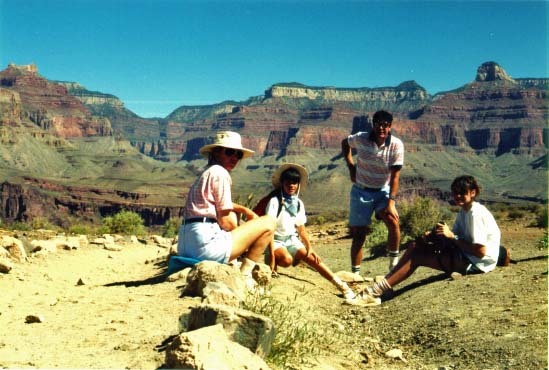 1991 A view of the north rim in the Grand Canyon. 1991 They've done it all! 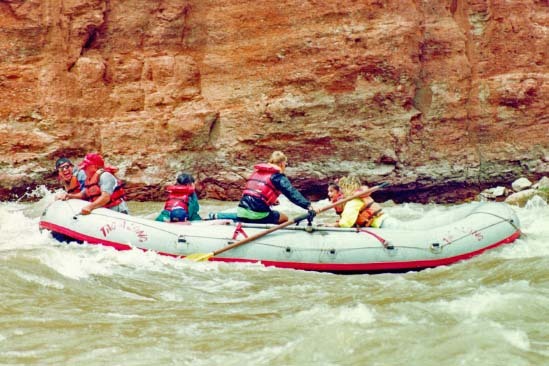 Rafting down the Colorado River in Moab, Utah. 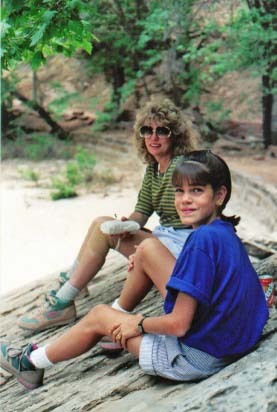 1991 Valerie and Erica taking a water break by the River Zion. Hiking has to be good for the legs, no? 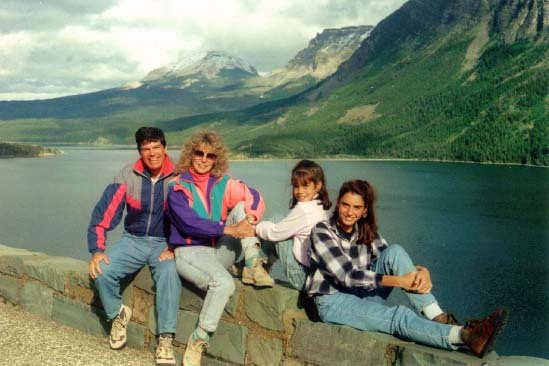 1992 Here the handsome foursome enjoy the beautiful views at Glacier National Park. 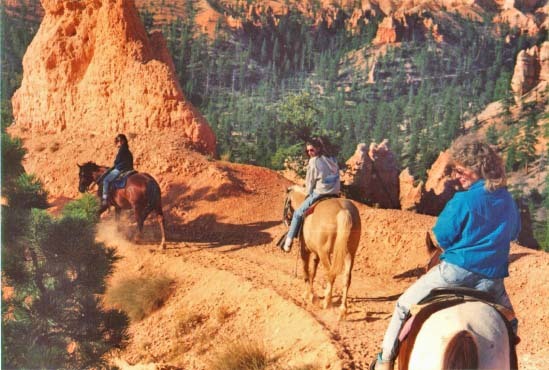 1992 Bryce Canyon on horseback has to be exciting! 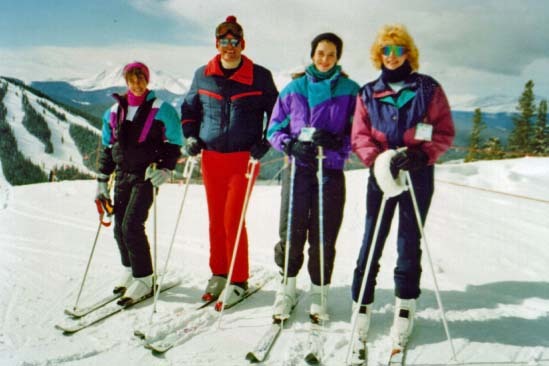 1994 Mauricio and Valerie and closest friends, Nancy and Ken on a ski holiday in Keystone, Colorado. 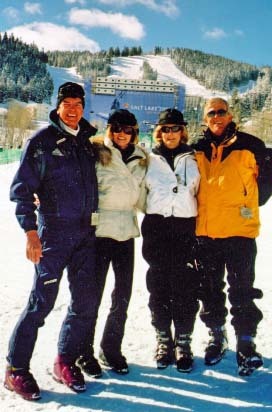 1994 Another day for great skiing in Keystone. 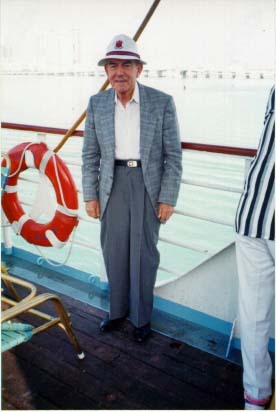 1994 Papi enjoys a day cruise around Biscayne Bay in Miami. 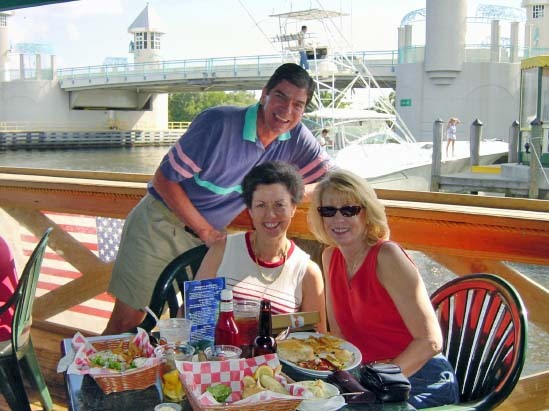 Being close to the water, always seemed to energize him. 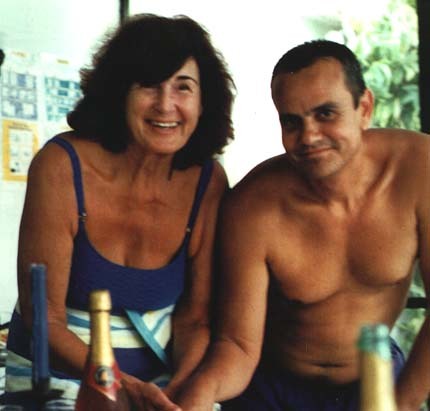 1995 Lara, Edgar's oldest child, is ready for a swim with Monica in the pool at Rabbit Hollowe Circle, Delray Beach, Florida. 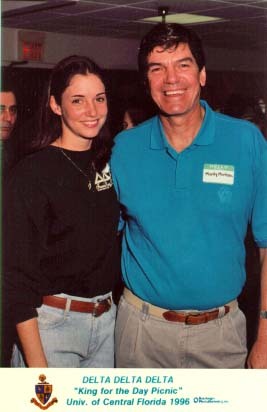 1996 Monica and her Dad at a Delta Delta Delta Sorority party. 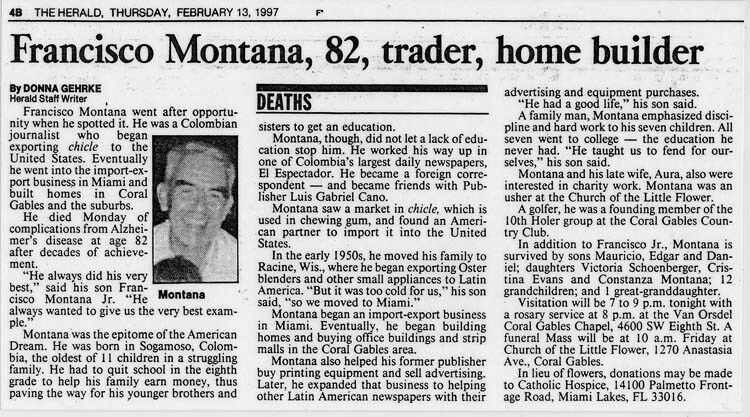 1997 Francisco Montana passes away after a long and fruitful life. 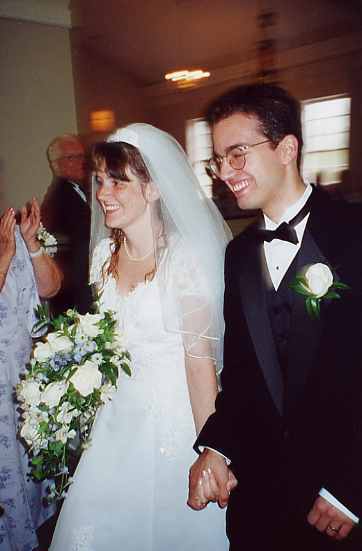 1997 Ann-Sofi and Danny cutting the cake on wedding day. 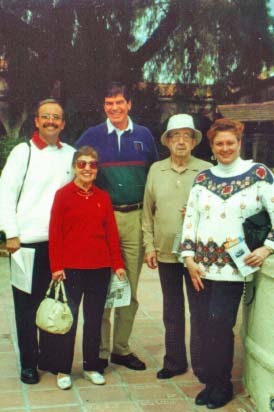 2000 Christmas at Rabbit Hollowe Circle. 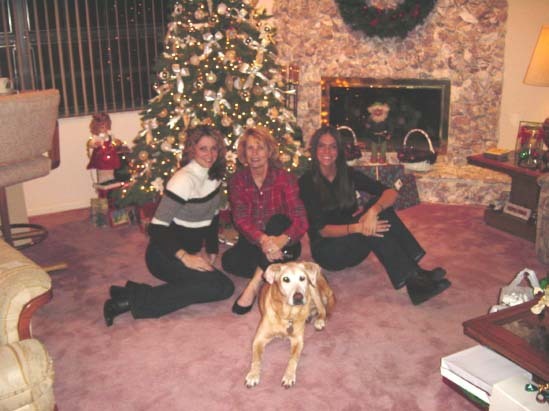 Monica is to the left of Valerie and Moxie is the "blond girl" in the middle. 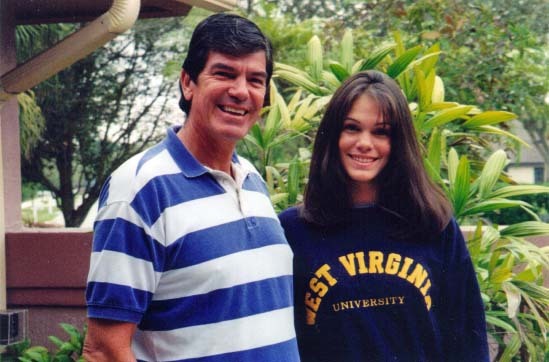 2000 Proud father and West Virginia University volleyball superstar, Erica. 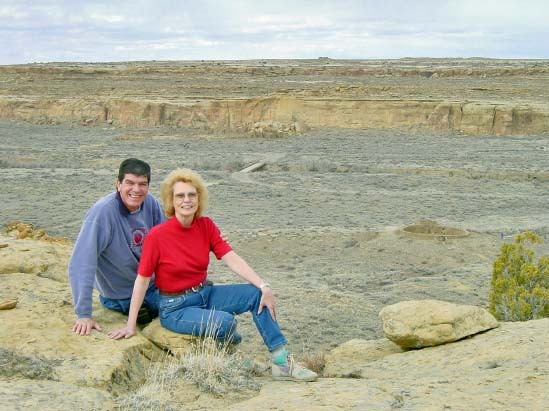 2001 Another major hike; this time around Chaco Canyon. 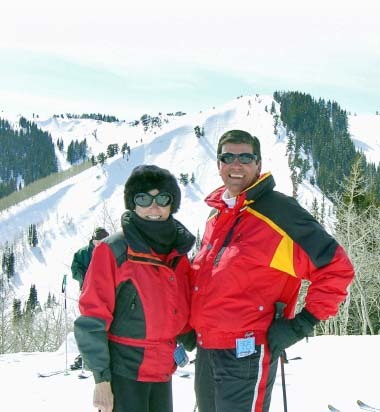 2001 The skiing in Deer Valley, Utah is not too shabby either. 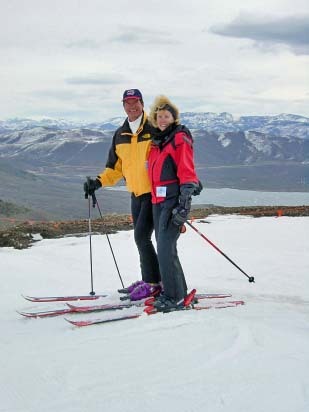 2001 Red rules the day for a ski outing in Park City, Utah. 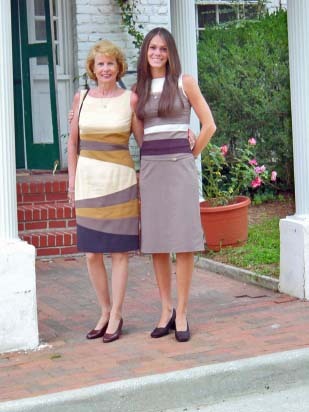 2001 Mom and daughter looking coordinated after the rehearsal dinner for David and Joy's wedding in Williamsburg. 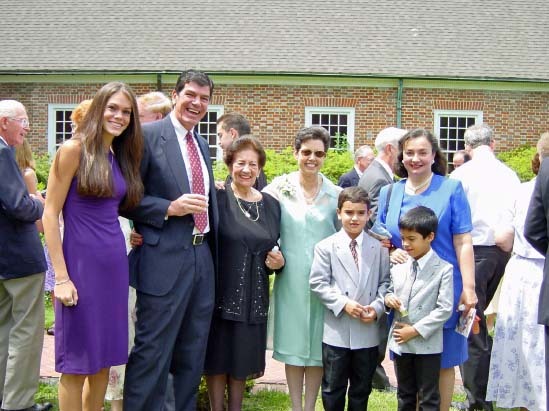 2001 After the wedding at St. Bede's Church, a gathering of the relatives. 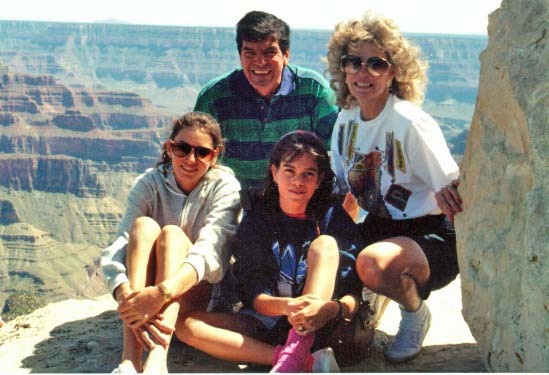 L-R Erica, with her Dad, Bertha Chiari, Aura's sister, Victoria, cousin Marta Chiari Arias, her son Gerson, and nephew, Christian Chiari. 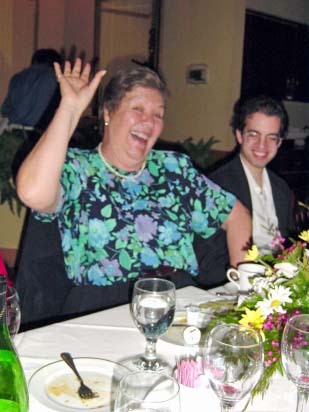 2001 Auntie B., as we like to call her, and Mauricio are ready to shower rice on the bride and groom. 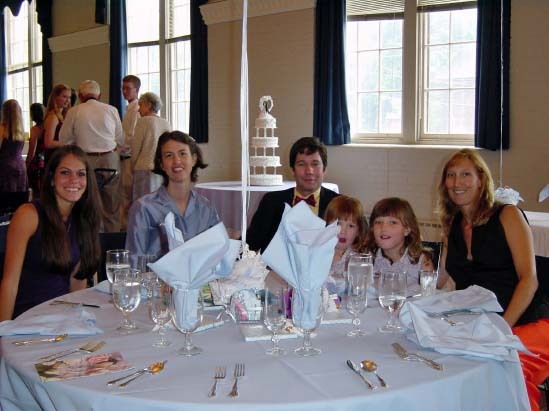 2001 The Montana cousins at the reception L-R Erica, Carolyn, Cristina's youngest with her husband Bob Wahrenberger, Lauren, Cristina's oldest, with her two girls, Sage and Cierra. 2001 Even on a rainy day, the historic sights of Williamsburg are entertaining, according to Monty and Erica. 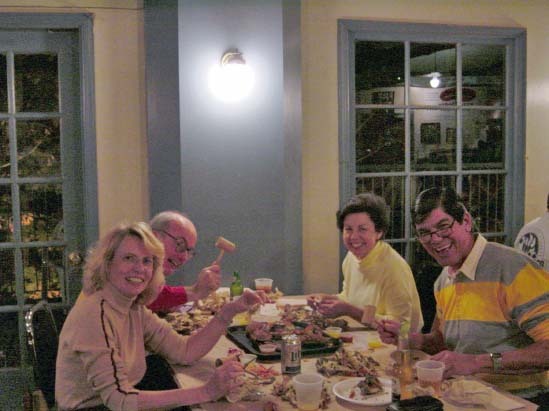 2001 We introduce Monty and Valerie to Captain Pell's for a messy but fun crab feast - a Jim certified favorite spot. 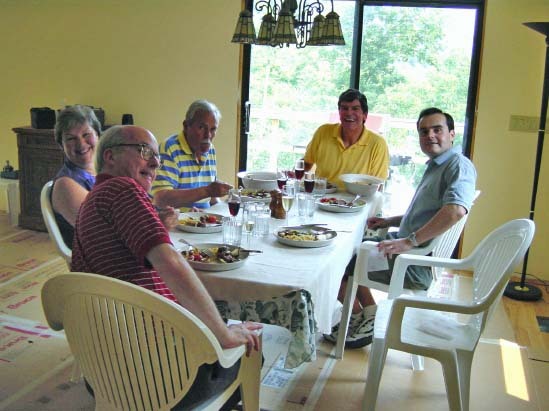 2002 At home in the cabin at Berkeley Springs, W. Va. Jim, Yvonne and Alvaro, and cousin Gabriel sitting to Mauricio's right, enjoy a hearty lunch cooked by owner/chef Mauricio. 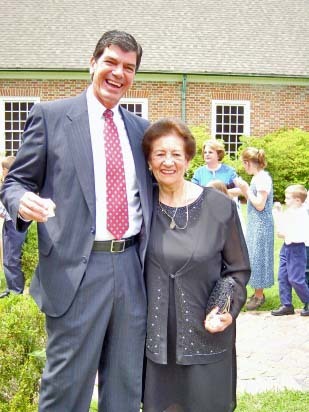 2002 Yvonne, entertains David and the rest of the group at Victoria's 60th Birthday celebration at Temel's, a Turkish restaurant in Falls Church, VA.
2002 What a surprise celebration this was. 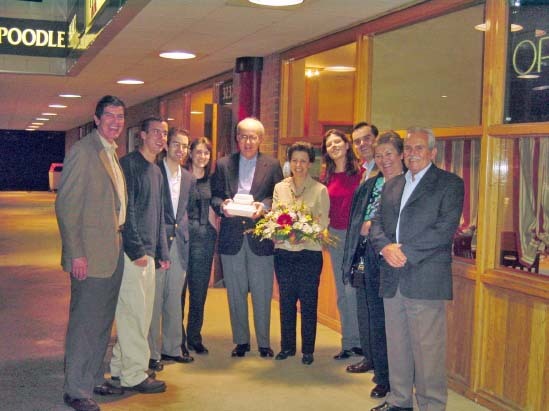 L-R is cousin Gabriel and wife, Claudia, David, Eric, Victoria, Alvaro, Monty, Valerie and Jim. 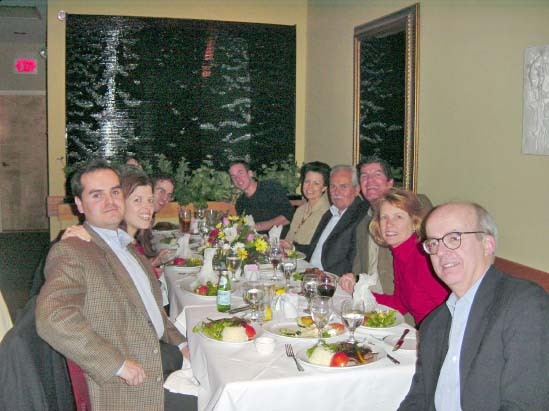 2002 After dinner, flowers and leftovers.... David and Joy drove from Fredericksburg, and Eric came from Chicago. It was a great party! 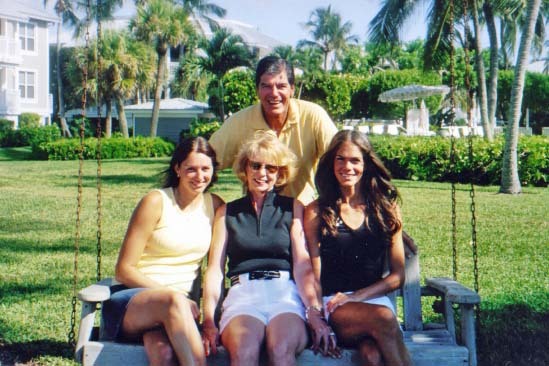 2003 One of many summer vacations on Sanibel Island in Florida. 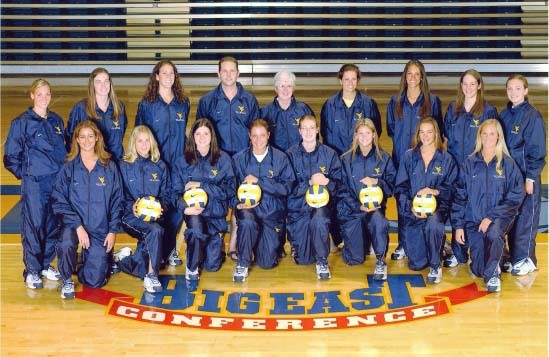 2003 WVU's Senior Volleyball team. Erica is in the back row, 3rd from the right. Mauricio and Valerie attended all their games, much to the team members' appreciation. 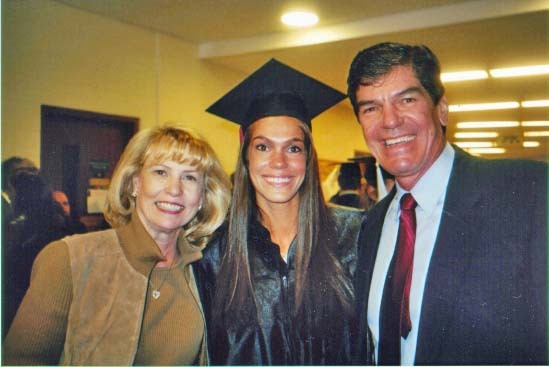 2003 Graduation Day at WVU, always a special occasion for graduates and parents, as you can see from these smiling faces. 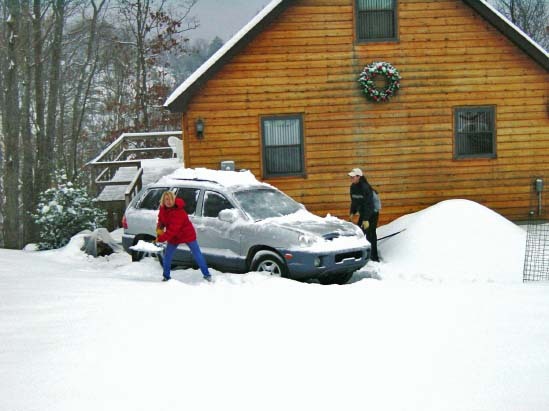 2003 Valerie and Erica throwing snowballs at each other....what??? This is a rear view of their cabin which sits on a hill, and has beautiful views of the Blue Ridge Mountains from their top deck in front. 2003 A short trip to San Juan Capistrano, while visiting Letty and Erich in Santa Monica. Sandra Gonzalez, married to cousin Alvaro Gonzalez, sits in between Letty and Valerie. 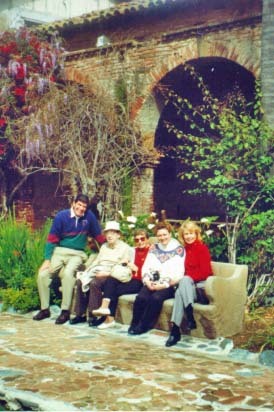 2003 L-R: Cousin Alvaro, Letty, Mauricio, Erich and Sandra after a fun visit to the mission at San Juan Capistrano in southern California. 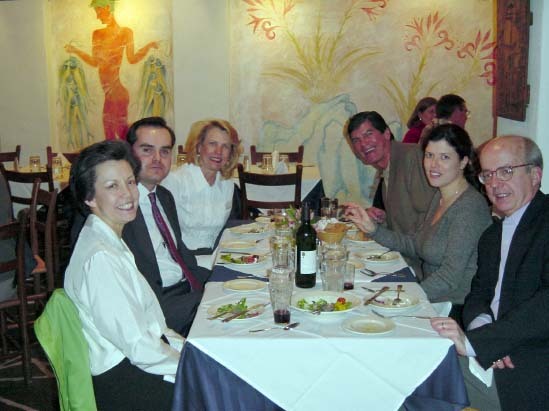 2003 Much hilarity, great food and fun dancing at La Taverna Cretekou, a Greek restaurant in Old Town, Alexandria. Jim and Victoria dined here on their first date. 2004 Three generations. 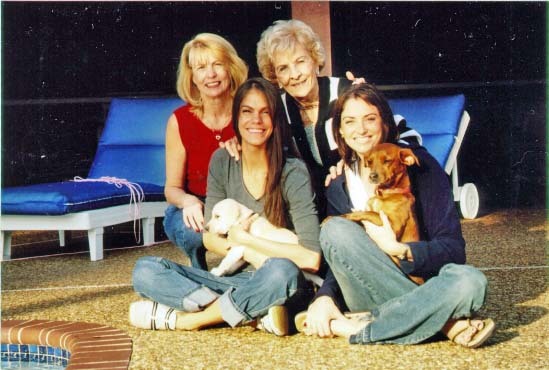 Grandmother Betty Fish, Mom Valerie and daughters, Erica holding Gabby, newest family addition, and Monica holding one of Gabby's friends, Casey. 2004 Gabby, enjoys the snow up at the cabin in West Virginia. Gabby was a surprise for Valerie from her thoughtful husband, Monty. 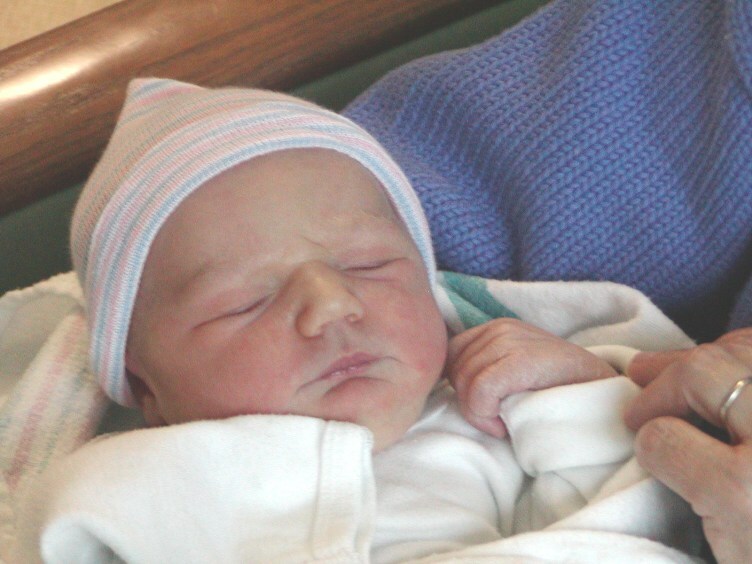 Rebecca Schoenberger, daughter of David and Joy Schoenberger, was born in January, 2004. 2004 More food! A snowbird comes to Florida in January. Monty and Valerie pick a perfect spot for lunch. 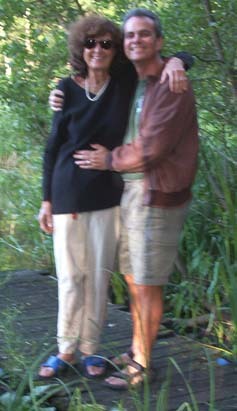 2004 Ann-Sofi and Danny in Sweden at a lake near their country home.